(WACO) – Sheldon Burney points to his experiences at Eden High School in Concho County for influencing his career decision. 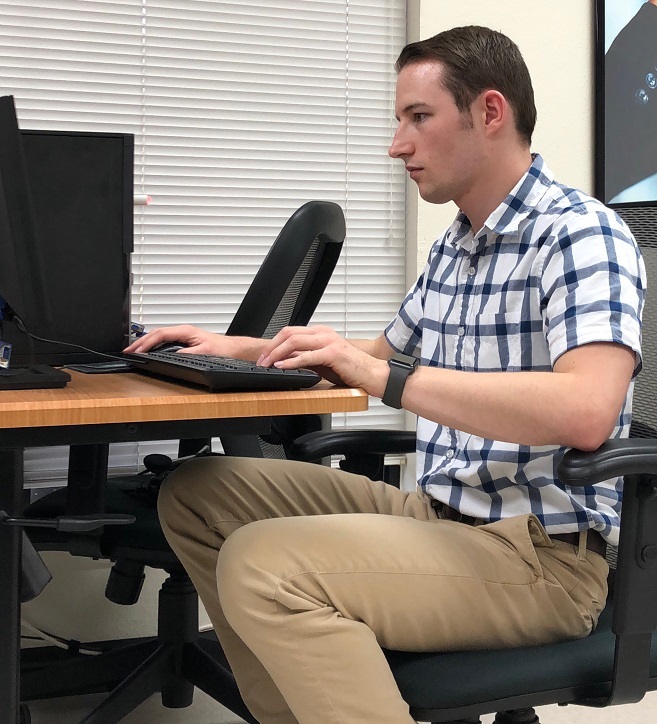 The Eden Independent School District’s information technology director guided Burney in learning how to maintain networks while still a high school student. Burney started fixing technical issues for teachers during class periods. “It was a lot of fun doing that,” said Burney, a Texas State Technical College alumnus. Burney has been working since August in Corsicana as a field PC/network technician at Switch Technologies. A lot of his work involves traveling to clients’ locations to diagnose technical problems. “We support the information technology in companies in cities ranging from China Spring to Ennis,” he said. Burney said weekly conference calls help to keep himself and his co-workers updated on hardware and software changes. “We use an app called Slack, and we will send each other articles to read and webinars to show how technology is changing,” he said. Texas has more than 32,600 network and computer systems administrators with an annual mean wage of more than $91,300, according to the U.S. Bureau of Labor Statistics. Connie Standridge, Corsicana’s city manager, said there is a need for information technology workers in the city, especially for individualized services. Corsicana has more than 23,600 residents, according to 2017 population estimates from the U.S. Census Bureau. Burney was raised in Grape Creek and grew up during his middle and high school years in Eden. He graduated in 2013 from Eden High School. He discovered TSTC from a friend who was studying Automotive Technology. “I only wanted to attend a school that could further my experiences with technology hands-on instead of taking it from more of a logical standpoint,” Burney said. 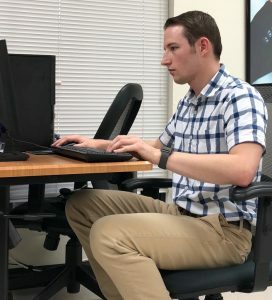 Burney graduated from TSTC in 2015 with an Associate of Applied Science degree in Computer Maintenance Technology and in 2018 with an Associate of Applied Science degree in Computer Networking and Systems Administration. He plans to return in the spring to finish classes for associate degrees in Cyber Security and Cloud and Data Center Management. This entry was posted in Waco on October 3, 2018 by Daniel Perry.